High precision positioner now available for loads up to 22lbs. 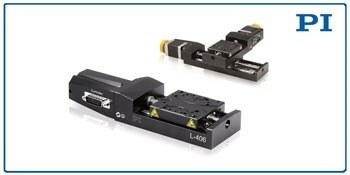 May 2016, Auburn, MA – The L-406 compact linear stage is the newest addition to the suite of motion control solutions available from precision positioning systems industry expert PI (Physik Instrumente) L.P. Providing high precision linear motion with minimized runout, this compact positioner delivers performance and reliability at minimized cost. It has applications in research and industrial applications, including bio-nanotechnology, microscopy, micromanipulation, inspection and metrology, beamline systems, and photonics instrumentation. Despite its compact size, this stage can handle payloads up to 22 lbs. Available with travel ranges of 1” (26mm), 2” (52mm) and 4” (102mm) and velocity to 0.8”/second (20mm/sec), the L-406 delivers high accuracy and smooth motion with minimum incremental motion and repeatability down to 0.2 microns. Long service life and excellent guiding accuracy with minimum backlash are guaranteed by recirculating ball bearings. Which Motor Meets Your Needs? 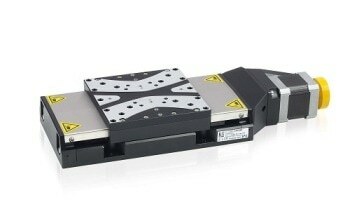 A compact DC servo motor with gearhead is offered for high torques and resolution, while a 2-phase direct-drive stepper motor delivers higher velocity. 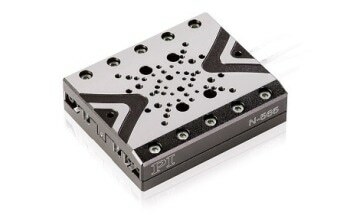 Position feedback is provided by an integrated rotary encoder sensor mounted on the motor shaft. Noncontact, optical limit switches and reference point switches with direction sensing in the middle of the travel range simplify use in automation tasks. 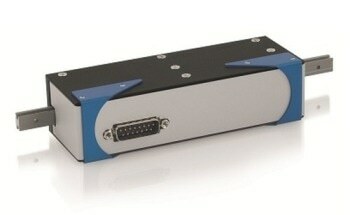 Specifications, Datasheet, More Information here. Fields of applications include bio-nanotechnology, microscopy, micromanipulation, inspection and metrology, beamline systems, and photonics instrumentation.